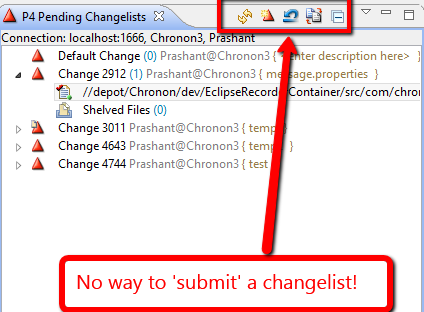 The Perforce Eclipse Plugin has the P4 Pending Changelists view to see your changeslists and submit them. The toolbar has a bunch of buttons. But its missing a key one. 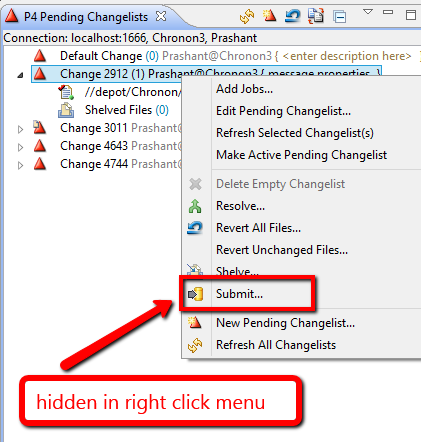 So umm how does one actually ‘submit’ a changelist?? This is what happens a product is designed by someone who doesnt use it himself.